Second Hand Wings are a four-piece Bolton band, renowned for their ability to crack the stoniest of audiences through their beautifully presented indie-folk songs which boast soaring vocal harmonies, down to earth lyrics and playful bass lines. 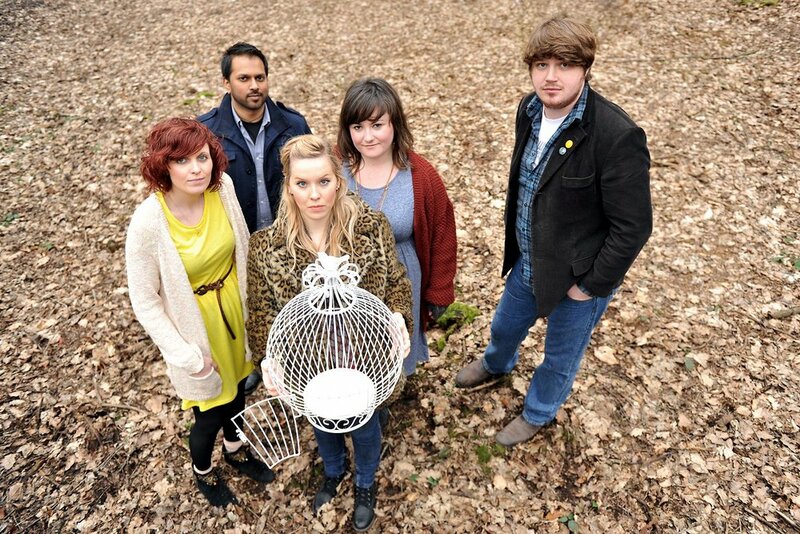 Second Hand Wings are a four-piece Bolton band who’ve become renowned for their ability to crack the stoniest of audiences through their beautifully presented indie-folk songs which boast soaring vocal harmonies. Second Hand Wings have created a truly original sound and pride themselves on their down to earth lyrics, catchy melodies and playful bass lines. As regulars on theManchester music scene, they have also featured on BBC Radio Manchester’s BBC Introducing show a number oftimes. The band has played across the country to packed out music venues including sell out gigs at Manchester Academy 3, The Cavern for the ‘International Pop Overthrow’ Festival, Questock Festival in Staffordshire, and have more recently won over new fans performing at Manchester Pride Festival. Their debut album, “Mountain City”, is available on vinyl & digital formats via iTunes & Amazon. “Like a warm summer’s day which envelops the listener in a blanket of euphoric bliss.” - Mountain City: Album review by The Backroom, July 2013.